Senderens…. Fabulous Lunch in Paris | 15,000kms of Food! So, I think we’ve all heard of the French chef who gave up his 3 Michelin stars to give good food at affordable prices to his customers. That man is Alain Senderens and, I think handing back his stars was a great ploy to get infamous. So we’d heard of this man… and when we were in Paris, we sought out his restaurant Senderens. The food is spectacular. The prices… hmm… I’ll let you be the judge. There are two parts to his restaurant – the fine dining downstairs and the “Bar Le Passage” upstairs. Given it’s lunch, we opted for the bar upstairs that has a 36 euro 3 course lunch. We loved it so much, we returned for lunch again before flying out of Paris. The 3 course lunch is fixed, so there’s no selecting of course. 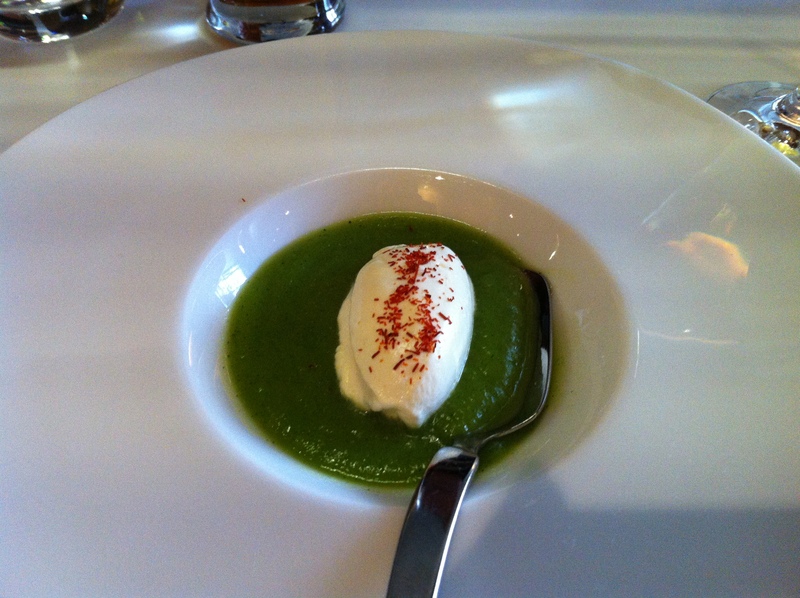 First time were there, we were served a courgette cream soup as the amuse bouche which was light, cool and creamy. Entree was a pork terrine, served with a rich hollandaise sauce, apples and lettuce heart topped with finely chopped eggs. 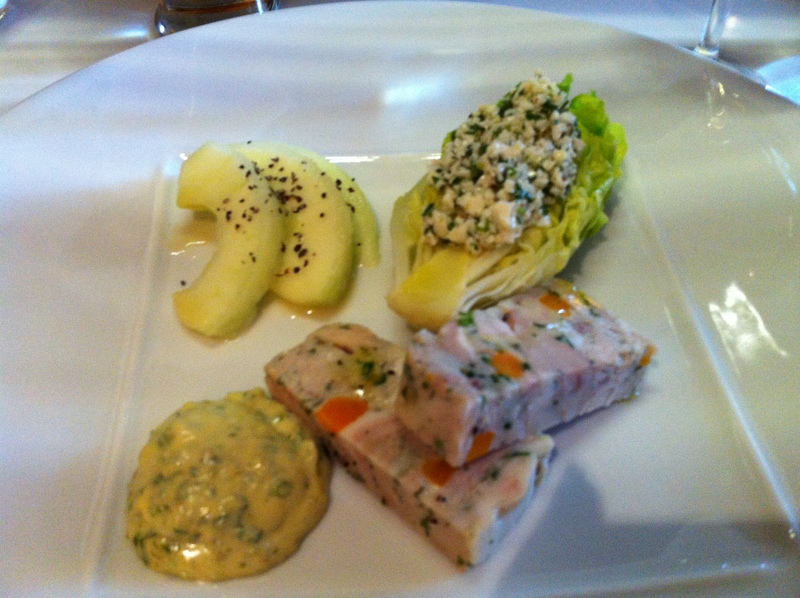 Any terrine served in France is fantastic, and this was no exception. 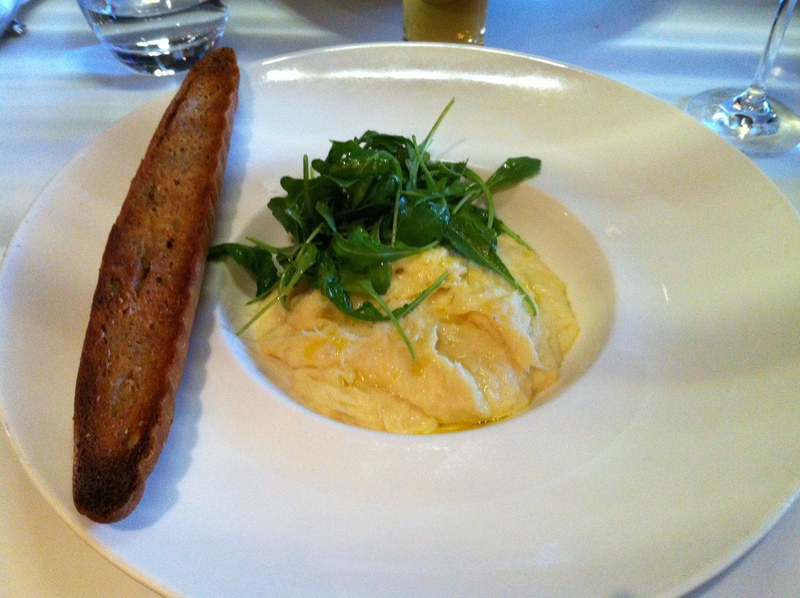 Main was a salted cod in mashed potato (it had a fancy French name!) and given I’m a big fan of both – it was delicious! Buttery, salty, silky perfection with a toasty piece of garlic bread on the side. 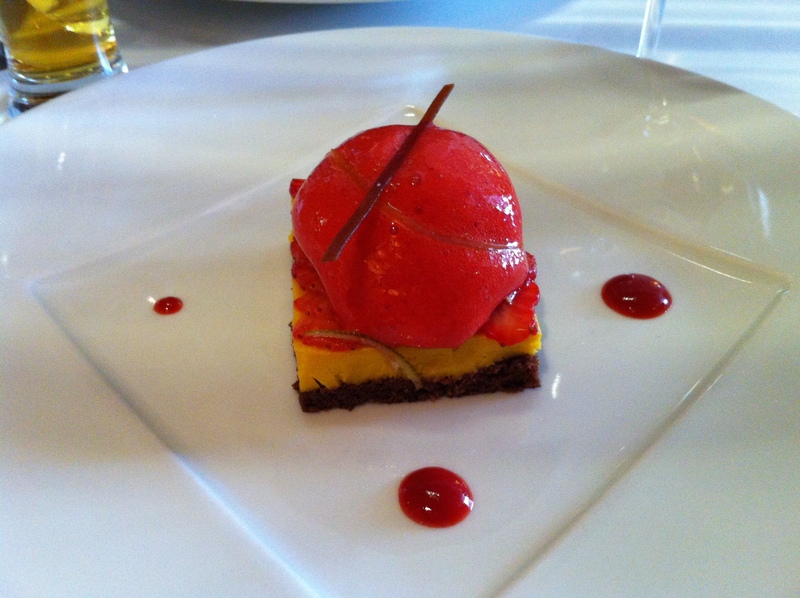 Dessert was white chocolate mousse on a chocolate cake base with a strawberry sorbet atop. It was a great way to finish the meal, although by then I was ready to roll out of there! 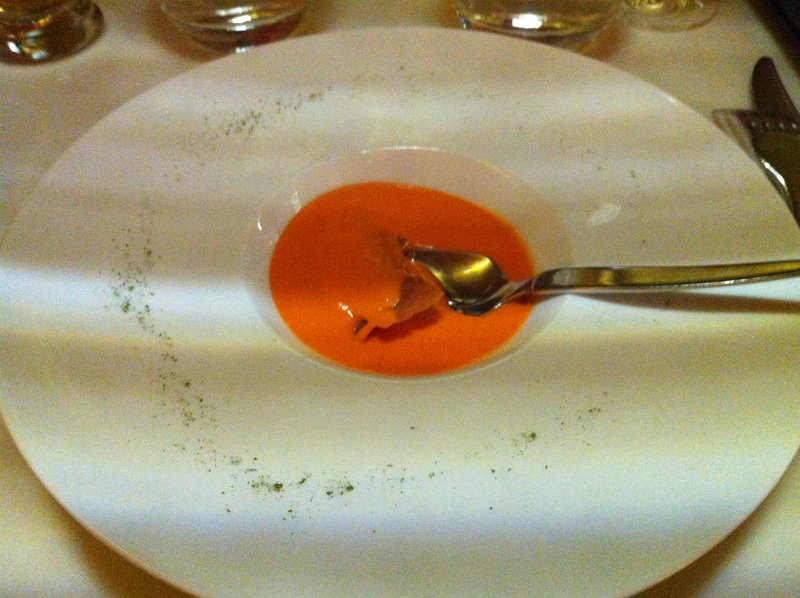 The second time round, we were presented with a capsicum cream soup as the amuse bouche. Creamy and cool, served with a paper thin crouton. Entree was a fish mousse with lobster bisque, which was so beautifully presented as quenelles with drops of bisque surround it and a thin crouton for texture. 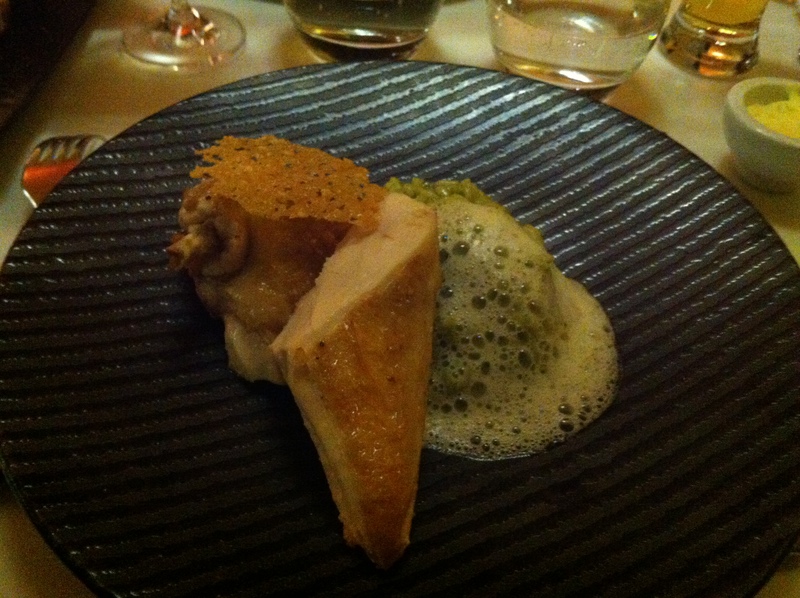 The main was a roast chicken, served with a parsley risotto on the side covered with parmesan foam. This dish was impeccable, perfectly tender chickeny chicken with complimentary sides to boost it’s taste – yum! 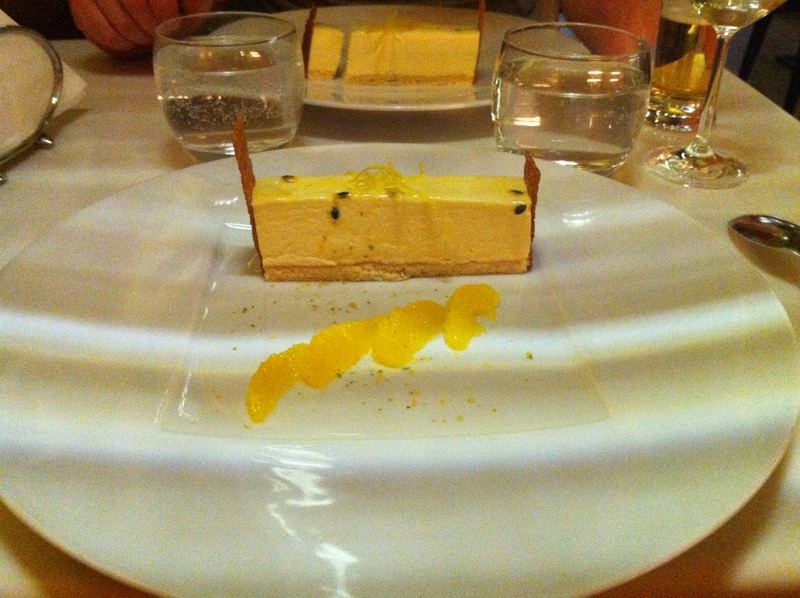 Dessert was a citrus mousse, with candied lime and oranges. Again, a great finish to the meal. I loved both our lunches here. The first time we rocked up, I was a bit concerned as we’d been sightseeing the whole morning and I was disheveled and looking a bit worse for wear. But we were greeted and welcomed like royalty, and whisked to the bar for our lunch. Service was efficient and professional, and I never felt unattended. The bar upstairs is a nice and casual environment. And if you’re lucky to sit next to the window, you have a great view of the church in Madelaine. The restaurant downstairs is a more formal, and elegantly decorated. Next time I’m in Paris, definitely will try the restaurant! 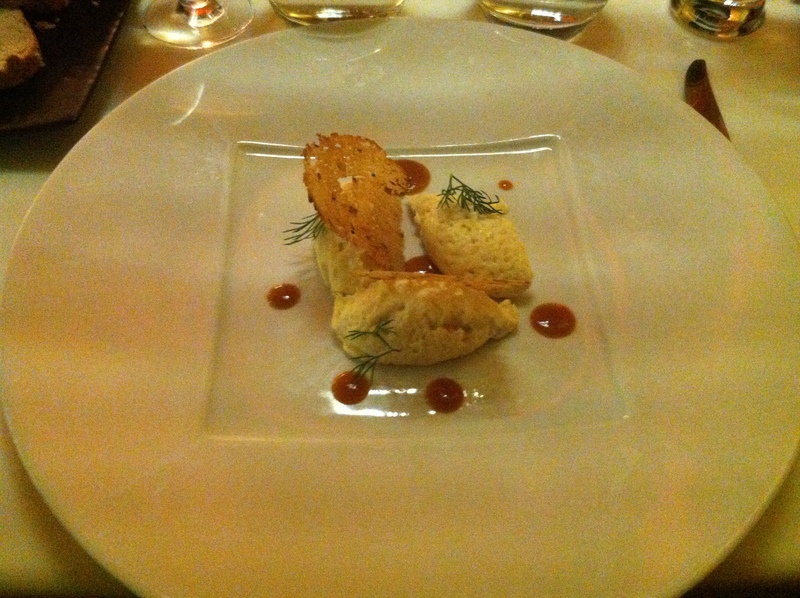 Previous PostBistro Guillaume… oui oui!Next PostLa Luna… wow!